I recently had the privilege to contribute a chapter to a new volume edited by Paul Peterson and Daniel Nadler. 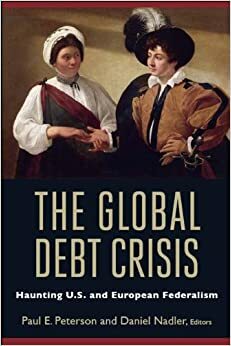 The Global Debt Crisis: Haunting U.S. and European Federalism was published by the Brookings Institution Press in late December. The book tackles some intriguing questions: In countries with federalist systems, what happens when sub-national governments go bankrupt? Should central governments bail them out? Will they? And, if so, will central governments seize power from the local governments in exchange? Would that process cause federalism itself to unravel? My own chapter, coauthored with Andrew Biggs, looks at the issue of teacher pensions. As with all public defined-benefit (DB) plans, the cost of teacher pensions is dramatically underestimated by government accounting. With another economic downturn, teachers could find their pension funds short of cash, even though the benefits are legally guaranteed. To avoid risking a messy bankruptcy of the kind we're now seeing in Detroit, DB plans for teachers could be replaced with less costly 401k-style retirement plans, while still keeping overall teacher compensation competitive with the private marketplace. I've posted a pdf of my chapter for interested readers. A hard copy of the book can be ordered directly from Brookings here. And, just as a reminder, all of "My Published Work" can be found via the sidebar links to the left. care to comment on amy chua's new book. can you do it ASAP?